I know delaying my exercise regimen until my Wii Fit gets here is not really a good decision. There really should be no excuse. I could very well settle for in place jogging of sorts, or even Tae Bo in the comforts of my home. With my love handles getting all too conspicuous by the day, I know I need to shape up. Allow me to psyche myself u first. Exercise tones the muscles. It conditions the body and burns fat. If you are on the slim side, you might want to embark on a low impact aerobic program with weight training. 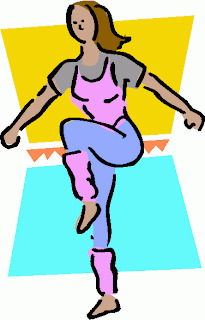 If you happen to be on the heavy side, do the aerobics. Always start with beginner classes then work your way up to advanced classes for that high fat burning routine that you need.